Italian lake holidays have always been renowned for their solitude and peace and Lake Como has been a well-known retreat for some of Italy’s wealthiest citizens since the 19th century. Nobility, famous actors, writers, business men and women have purchased or built villas/homes here in order to escape the dense crowds of major cities. However, quiet and solitude can come at a hefty price, especially when a travel agent does all the planning for you. Luxury trips usually mean luxury mark-up prices and commissions. You can plan your entire luxury trip from start to finish using the steps outlined below and save a bundle allowing you to the have extra cash leftover to purchase your favorite souveniers or visit some of the wonderful antique shops. 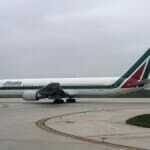 You will have to leave your home and get to your Italian destination somehow. And some all-inclusive providers won’t even cover your air costs to Milan especially if you’re traveling trans-atlantic or pacific. The best search engines for flights aggregate the best deals found on the internet and provide you with the lowest available price. A good engine will allow you to customize your travel options such as whether you’d like to travel direct or indirect to adjust to your level of comfort. Skyscanner is by far one of the most powerful engines on the internet and is especially good at finding the best rates within Europe. Use it to check for transatlantic or transpacific flights as well, and you may find it topples any other engine you’ve been accustomed to using – hands down. The old notion of Como luxury was more connected to the opulence and magnificence of the entire Lake Como region as opposed to the richness of services offered. Remaining in a 5-star luxurious resort back then, for leisure, was already in itself an enormous sign of wealth, and would be considered a 3-star hotel by todays standards. Today, people expect more from their hotels. Tourists expect an ambient atmosphere and exceptionally-stellar service. 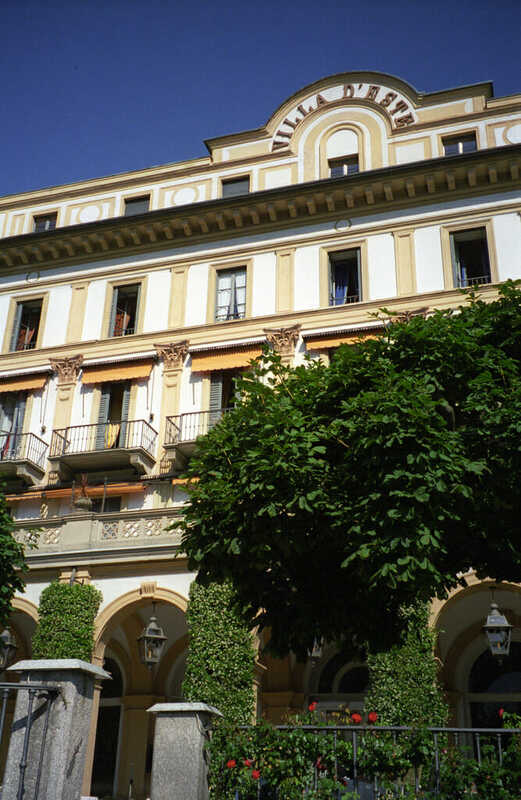 A five-star hotel in Lake Como is fortunately always placed in an excellent location, close to important cultural monuments and the finest restaurants. It would really be a shame to never see one of these five-star hotels of Lake Como villas, even if only from the outside, while visiting Lake Como. With equally long-term and short-term rentals available at most locations, each room feels like an exclusive gallery. These luxurious boutique resorts Rome have some truly presidential suites available which will make guests feel as though they have been staying in a palace, instead of a hotel. Naturally, if the opulence and extravagance of a Lake Como 5-star hotel seems out of reach, you and your guests may prefer to stay in an apartment, which are far more spacious and still come beautifully furnished in most cases. Your itinerary begins the moment you land at one of the three Milan airports – Bergamo, Malpensa or Linate. At this point, you should have arranged a pickup with a reputable shuttle company who will pick you up and drop you off at your desired hotel. At your hotel, you will be greeted with a friendly smile, and the doorman will take your luggage directly up to your room. Be sure to also purchase travel insurance for the duration of your trip, so that you can truly enjoy the peace and serenity that a Como luxury vacation can offer you. Upon arriving from the airport, you can arrange to be picked up. A friendly gentleman will hold up a sign with the name of the Shuttle company or even your own name and will drop you off directly at your hotel, villa or any other address. This is by far the easiest solution for a luxury vacation in Italy, as you don’t have to worry about carrying heavy baggage, transferring buses and ferries, or having to paying exorbitant prices on taxis from the airport. ShuttleDirect has an excellent reputation in customer satisfaction and has plenty of experience in working with the various Milan airports. 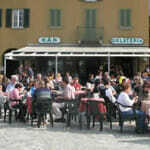 At some point you’ll have to decide whether you want to stay in a Lake Como luxury hotel or villa during your stay. Each has its advantages. A hotel gives you the convenience of excellent locations in the heart of each town, close to public transportation and friendly staffs to take care of your personal needs. There are also no heating or utility costs associated with staying in a hotel. There are only three five-star luxury hotels on this Italian lake. 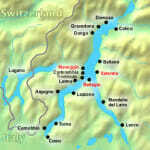 Fortunately, they are located in the best possible locations on the lake forming a triangle between Cernobbio, Bellagio, and Tremezzo. If you prefer a more spacious solution or will be arriving with many guests, you may prefer to stay in a villa or apartment. They are far cheaper per night when compared to Lake Como luxury 5-star hotels and offer more living space and beautiful indoor furnishings. Browse through the selection of over 60 apartments/villas that owners have listed on our site to get a better idea of what they can offer in terms of amenities, lavish outdoor gardens and beautiful, panoramic views of this Italian lake district. Here is one area in which tourists are famous for over-paying. The fear of being stranded in a foreign country because of unforseen, unlucky circumstances, will bring anyone in a sane mind to take action. The best travel insurance companies should provide basic protection including medical expenses if you are ever injured and need to visit a hospital, trip interruption which can get your ticket costs refunded should you ever get sick and emergency travel services which should even include a flight back to your home country in the worst of events. For Americans, we recommend Travelguard as a firm with plenty of expertise and years of experience in dealing with travelers of all ages and to all types of destinations. 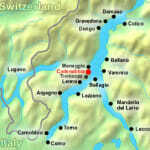 Here is an example itinerary of a typical luxurious vacation at the Como lake. In an effort to continue providing you with an excellent online resource, please note that comoguide.com may receive a small commission should you wish to purchase from a provider. Click here for more information. 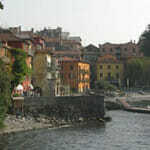 Return from Lake Como Luxury Vacations to the Como Guide homepage.